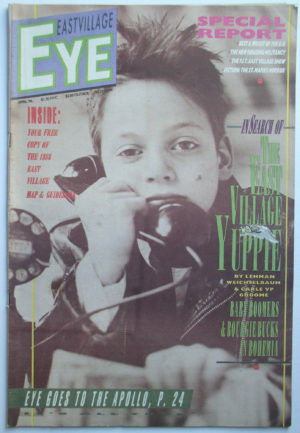 Leonard Abrams publisher of the East Village Eye, 1981. 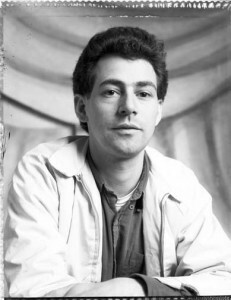 Photograph by Tom Warren. 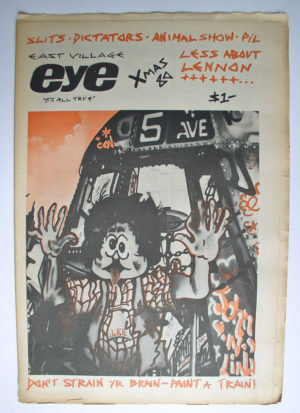 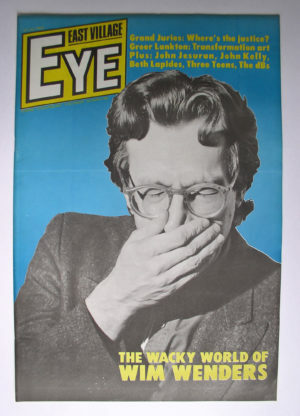 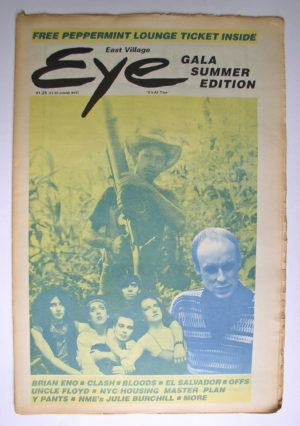 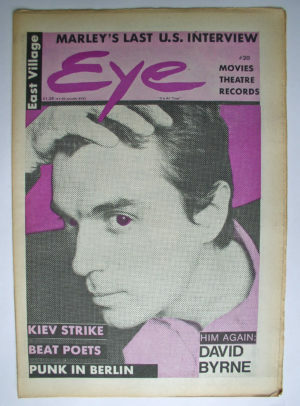 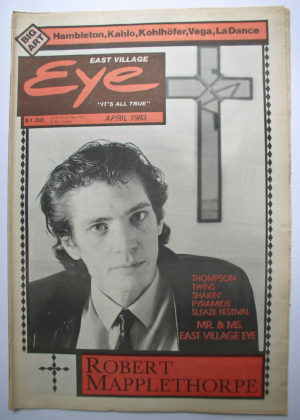 Leonard Abrams was just 24 years old when he started the East Village Eye in early 1979. 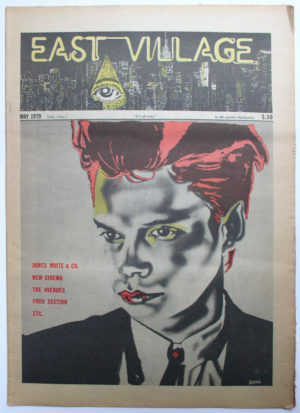 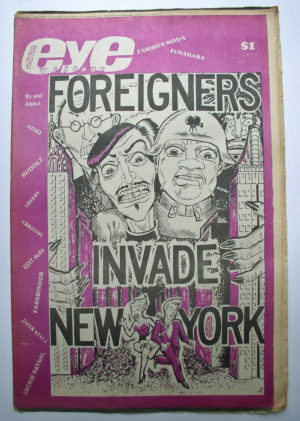 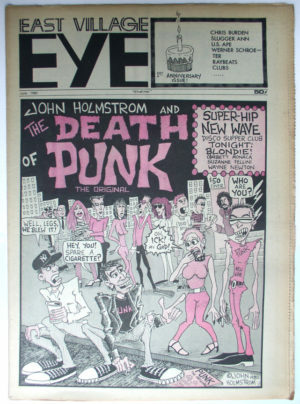 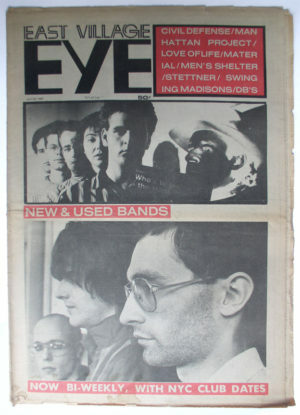 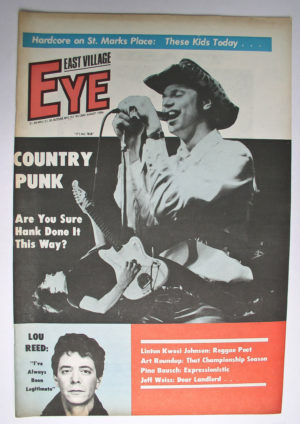 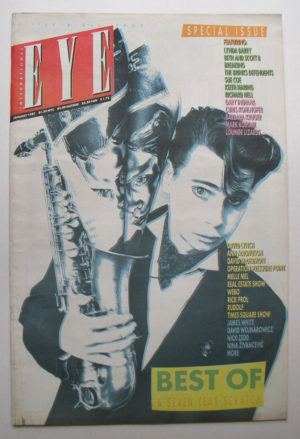 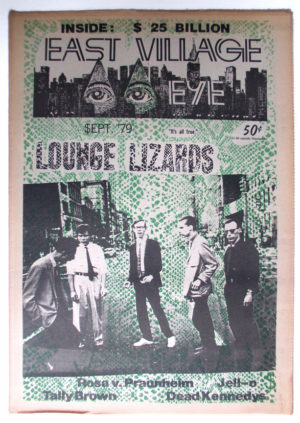 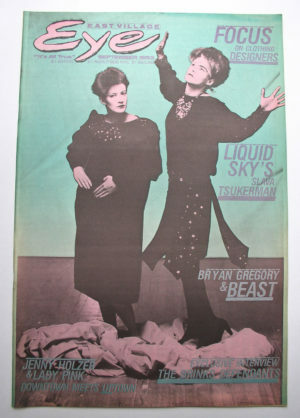 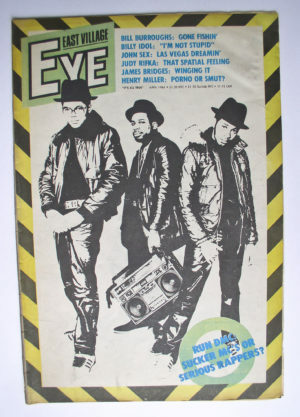 Filling a void left after the closing of the East Village Other seven years before, and riding the wave of a newly revived East Village kick-started by CBGB and the rise of Punk, the Eye grew quickly and published regularly from May 1979 through January 1987. 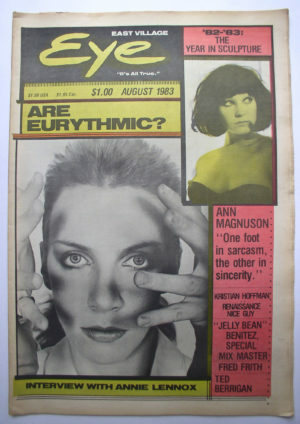 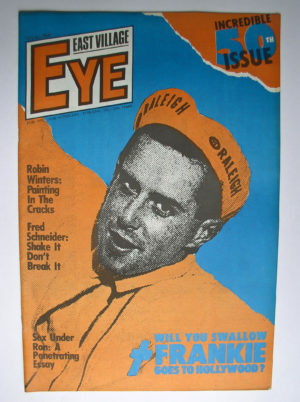 Ultimately, the somewhat erratic monthly was to produce 72 issues. 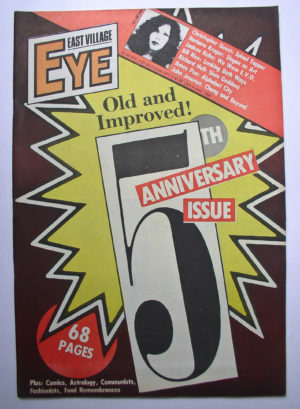 Early issues had print runs of 5,000; later issues in the mid teens. 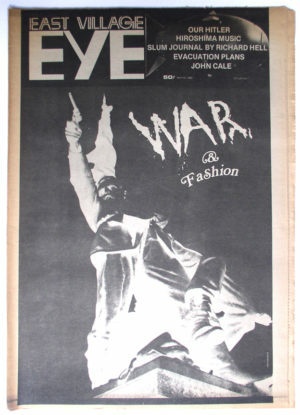 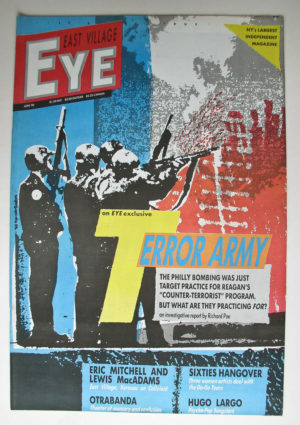 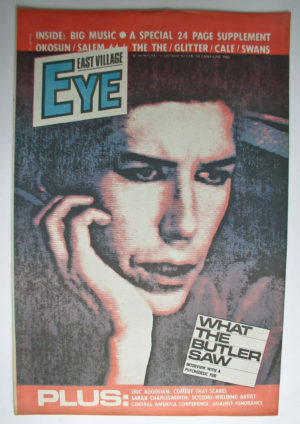 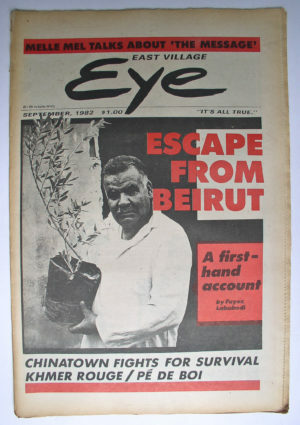 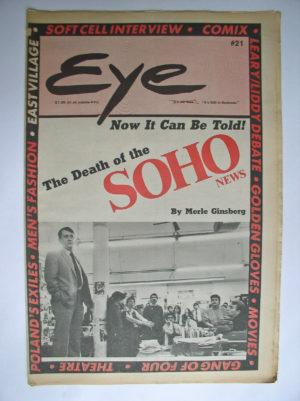 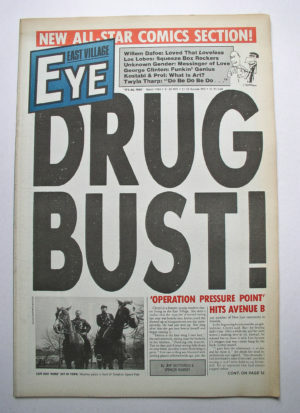 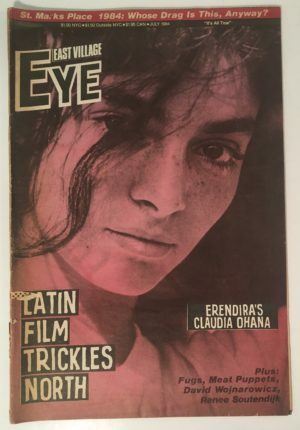 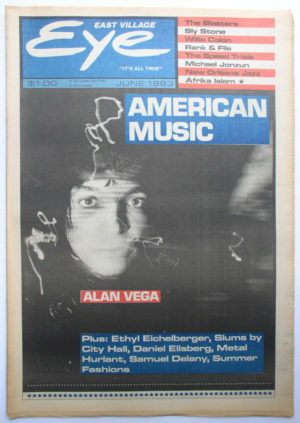 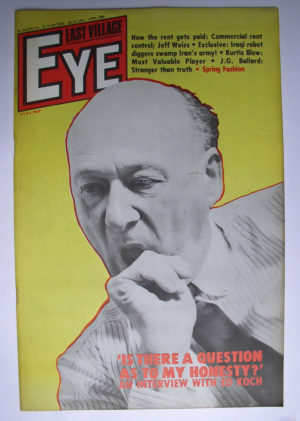 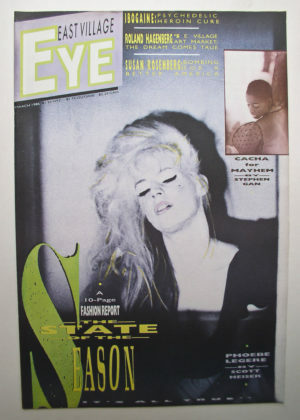 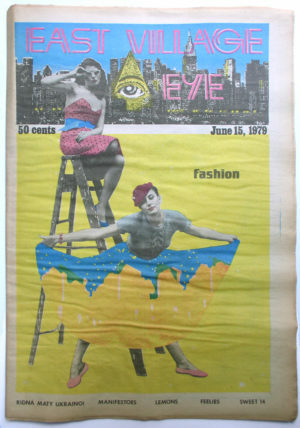 Abrams defined the Eye as a “community in print” incorporating news, nightclubs, art, film, music, and fashion. 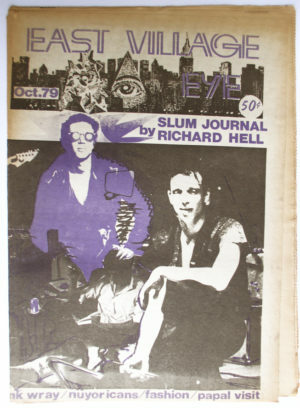 There was no pay but plenty of high profile contributors like Richard Hell, Cookie Mueller, Glenn O’Brien, Futura 2000, David Wojnarowicz, and Danceteria owner Rudolf. 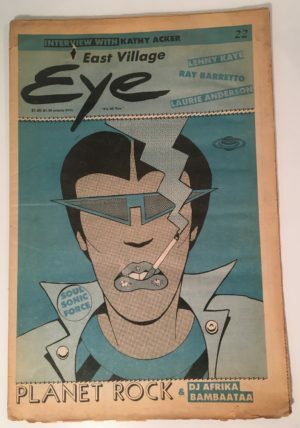 The paper can now be prized for historic art coverage that helped fuel the highly publicized rise of East Village artists and galleries in the early-1980s. 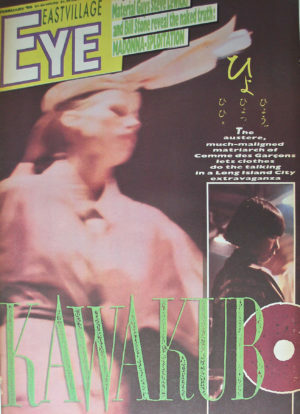 The Eye’s first art director was Christof Kohlhofer, a member of the downtown artist group Collaborative Projects, Inc. (Colab). 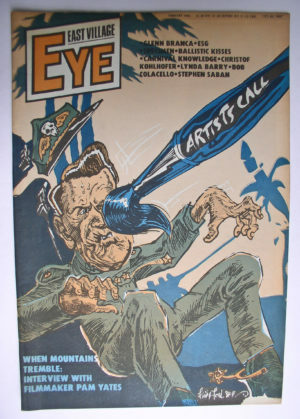 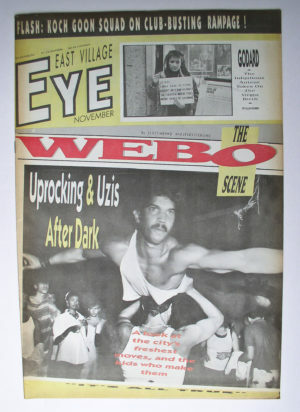 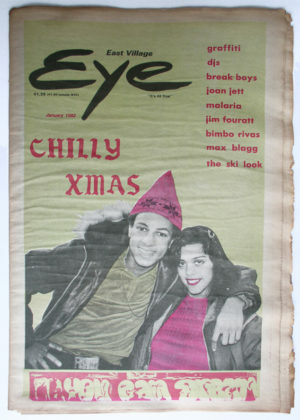 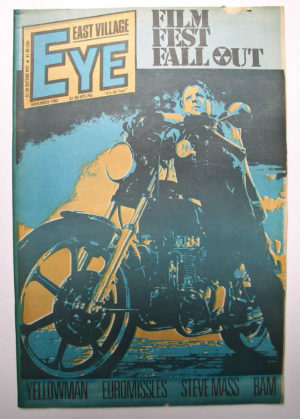 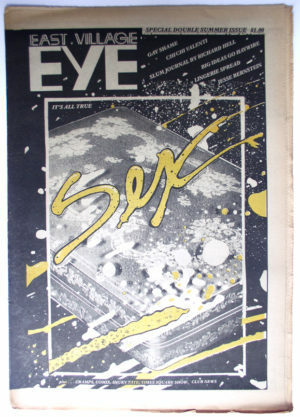 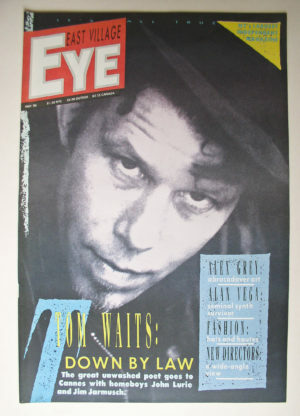 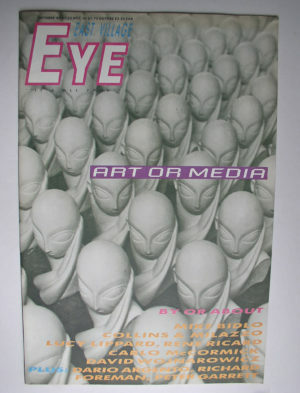 The Eye chronicled Colab projects like the Times Square Show and the gallery ABC No Rio, and featured pullout centerfolds by Colab artists. 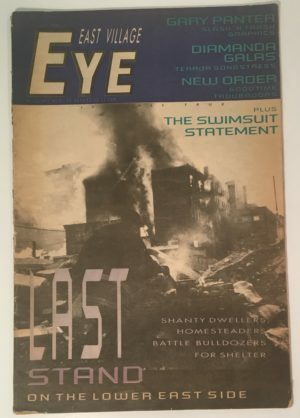 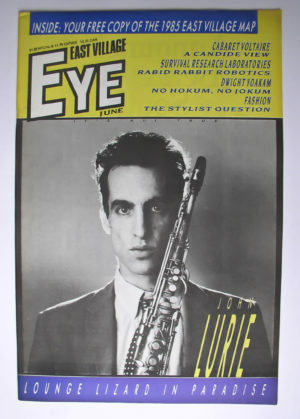 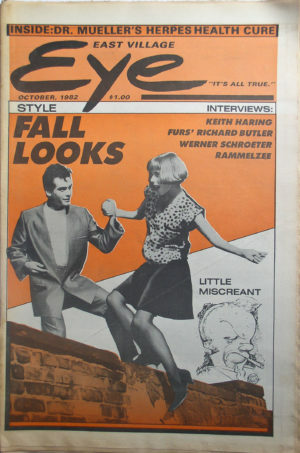 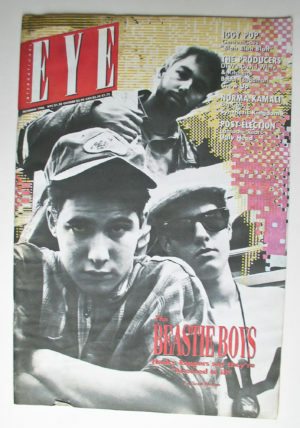 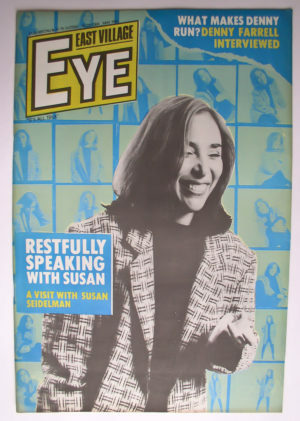 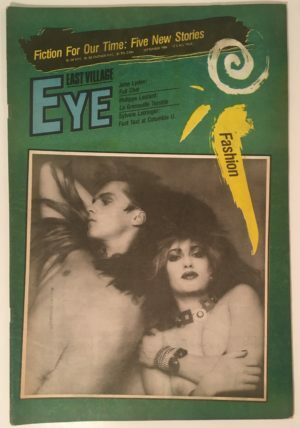 During the early-to mid-1980s, the Eye’s art editors were Walter Robinson and Carlo McCormick, authors of the seminal Art in America article that first defined East Village art. 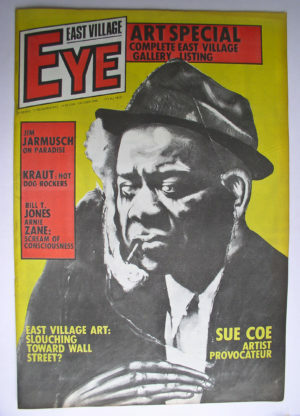 Features editor Steven Hager, later the author of the first books on hip-hop and nightclub art, kept the Eye on top of developments in graffiti and rap music. 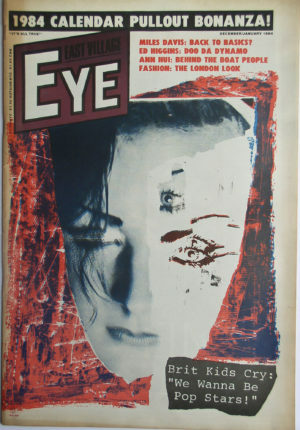 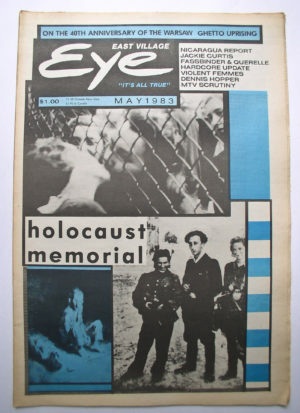 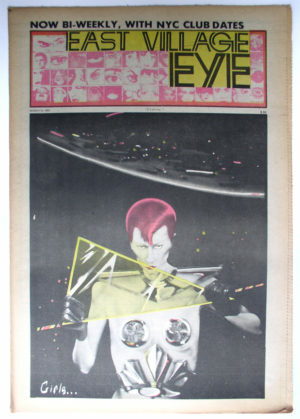 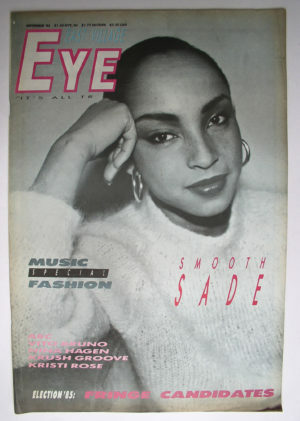 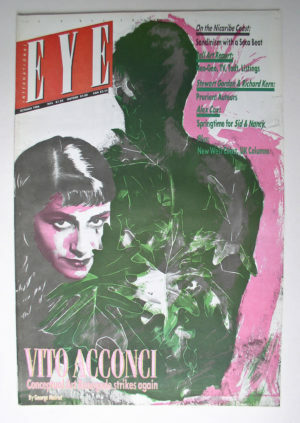 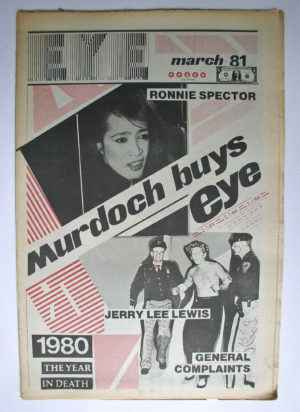 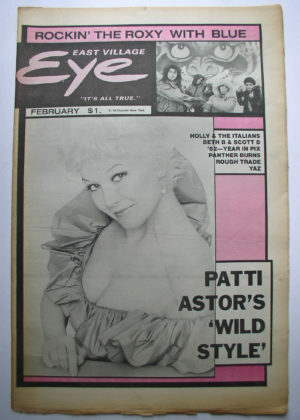 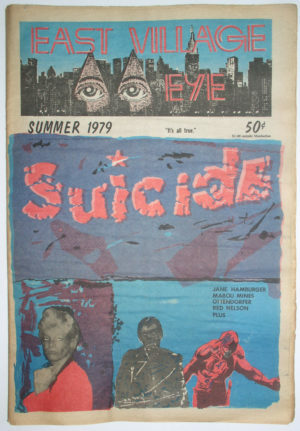 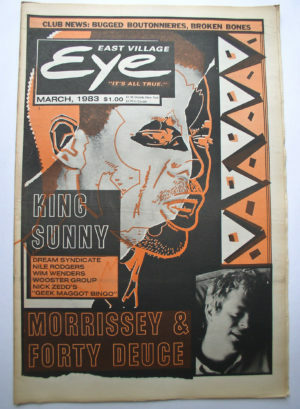 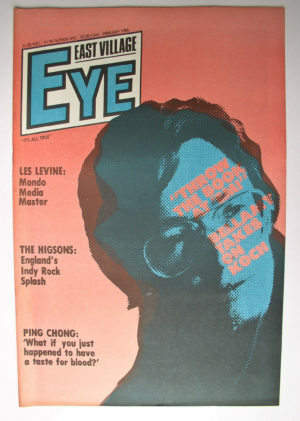 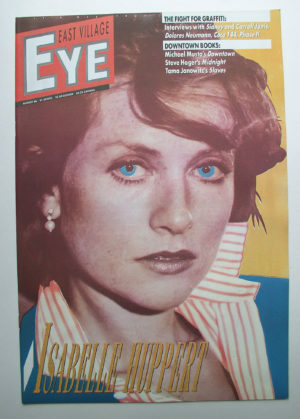 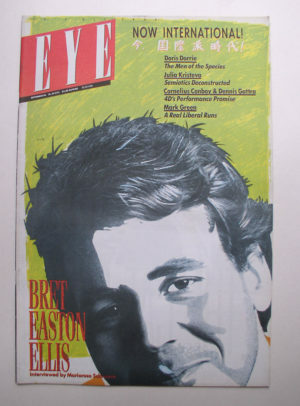 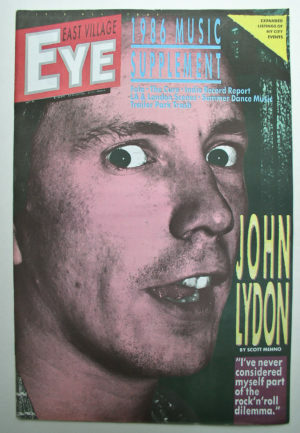 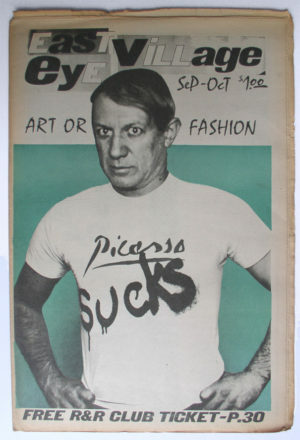 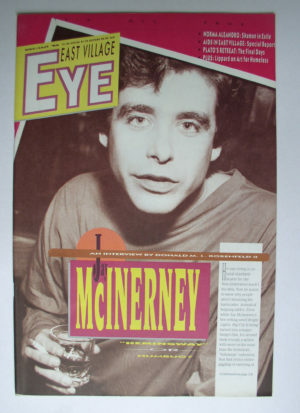 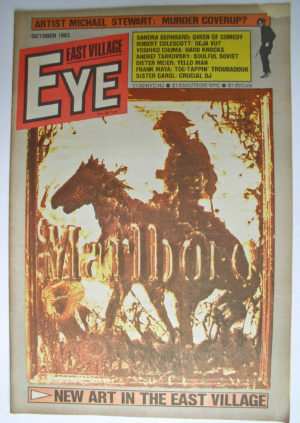 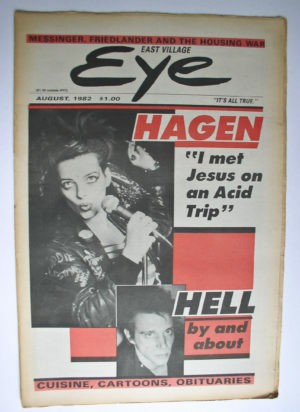 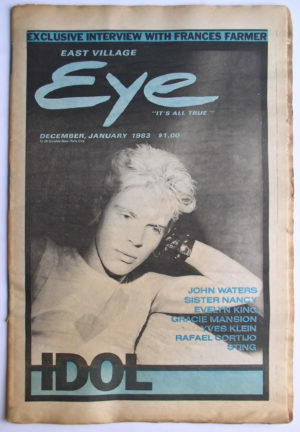 Eye covers spotlighted Robert Mapplethorpe, Sue Coe, Richard Hambleton, Mike Bidlo, and many other visual artists. 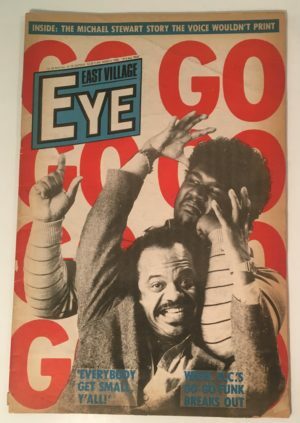 Gallery 98 has obtained a nearly complete set of the East Village Eye that we are now making available individually. 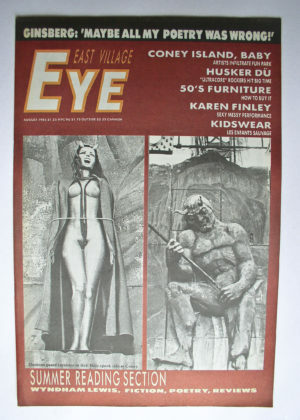 Discounts are available for purchases of 3 or more items.